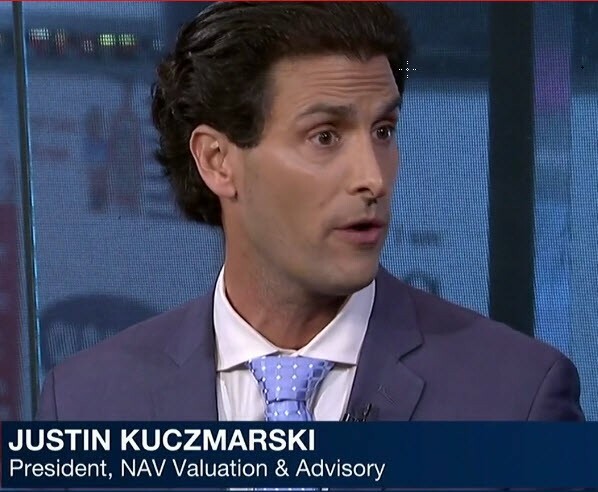 The Executive's Guide to Business Valuation, by Justin Kuczmarski, MBA, CPA, CVA, CIRA, ABV, is a leading guidebook on core valuation essentials. Downloaded annually by thousands, the guidebook is a 300-page overview for analyzing a private company's worth. The free online version also includes 12 CLE or CPE credits. We have valued thousands of private companies and funds. We have participated in over 150 M&A deals. Our dual, real-world experience in both M&A and financial advisory experience sets us apart and spans across every industry. We also exhibit a deep specialization in several leading industries. This text is a short article teaser. Click the link to read the article. NAV Valuation & Advisory LLC was founded to deliver the highest level of client service, transparency, and technical expertise. Building upon the multidisciplinary record and expertise within investment valuation, financial and forensic services, and real estate M&A, our team strives to deliver leading services in a timely and client-focused fashion. We feel deep specialization can and should occur across multiple service offerings since financial advisory is complex and demands a perspective that is undeniably holistic. Valuation expertise, for example, is enhanced by real-world M&A execution. Our competitors, including leading investment banks and advisory firms, often bifurcate financial advisory from M&A investment banking. Even worse, some litigation support firms may utilize an expert consultant different from the testifying expert. This added layer may even create an "expert gap" that could weaken credibility and overall success. A narrowly-focused, "one-nail, one-hammer" mindset often is not sufficient to deliver client satisfaction. For clients large and small, we passionately believe our multi-faceted dynamic is not only more client-focused but also more effective and efficient from the standpoints of speed, reduced fees, and one-stop knowledge transfer. At NAV we strive to provide a more Integrated Advisory Experience (TM) where many expert capabilities may be delivered within a single engagement by a single team or professional.